The defense and security sector demands rigour and standardization as well as ironclad reliability on all terrains and environments across the spectrum of conflict. Aware of these conditions, the Soucy Group produced its first defense Rubber Track in 1989. Today, the group is recognized for its global leadership in Composite Rubber Track Systems (CRTS) in addition to development and production of vehicle parts and accessories. 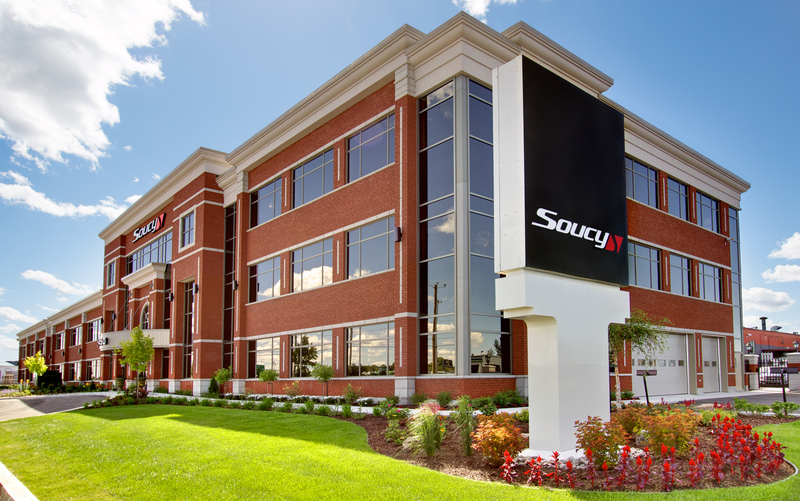 Founded in 1967, Soucy is also a complete solution supplier and a vertically integrated company counting 1500 employees and 11 subsidiaries around the world. Since its first defense contract in 1988, Soucy has acquired substantial experience in the defense and security area and has developed a keen expertise in CRTS solutions for defense applications in vehicles weighing up to and exceeding 40 tonnes. Its CRTS have proven their efficiency in battle conditions during domestic and expeditionary operations by meeting the highest requirements. Combining the skills and expertise of all Soucy Group subsidiaries, Soucy Defense now offers a wide array of possibilities in innovation, design and manufacturing of key components for defense vehicles. 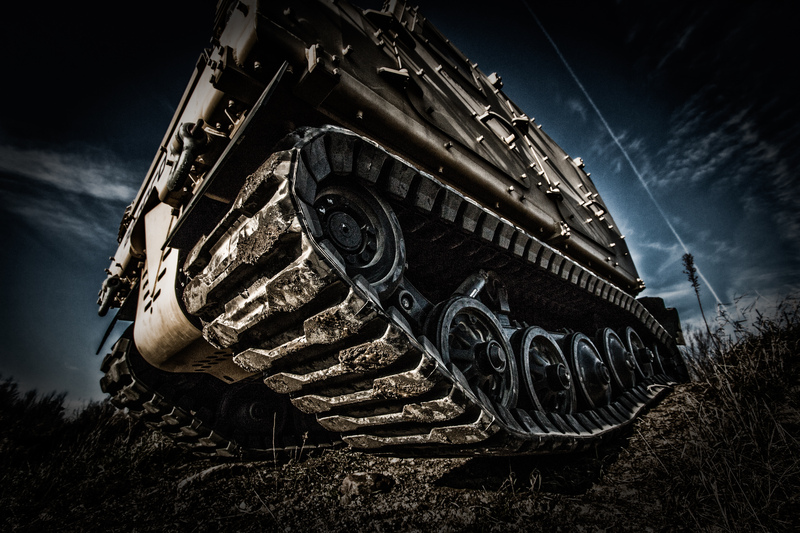 Today, the Soucy Group has grown into a leading designer and manufacturer of plastic, rubber, metal and polyurethane components for powersports, industrial, agricultural and defense vehicles, which makes it the ideal supplier for track system needs. Almost 30 years after producing its first defense CRTS, Soucy remains the only manufacturer of CRTS for defense and security purposes approved by Defense forces around the world. Composite Rubber Tracks were originally designed for the tough mobility demands of extreme snow and ice terrains. Moreover, the main benefit of choosing Composite Rubber Track instead of steel track in defense applications is an incredible degree of weight savings. With the weight of the track reduced by almost 50 percent, vehicle designers can add more mission‐critical components such as armor and other protective equipment without impacting vehicle mobility and combat weight budgets. The added protection is critical to both the survival of the vehicle crews and the performance of the vehicle itself in hostile environments. Over the past 3 decades, Soucy’s Composite Rubber Tracks have proven to be a key mobility system used by many fleets not only in extreme cold weather conditions, but also in blistering desert heat, rugged mountains, and swampy or muddy terrains across the globe. Composite Rubber Tracks are made from only top grade (grade 5) pure rubber, with reinforced Kevlar® fibre and continuous robust steel cabling. A lightweight and nonflammable compound is also included to protect against high temperatures in extreme environments, and carbon nanotube technologies are used to provide twice the durability of steel tracks. Composite Rubber Tracks also drastically reduces the overall noise signature of the vehicle up to 13.5 dB reducing the risk of detection by hostile forces. One of the most important aspects to maintain for an armoured vehicle is great mobility. It is mission critical and Soucy Defense fully understands that. In order to ensure operational availability and supportability of CRTS across the full spectrum of conflict, Soucy is proud to offer its own Integrated Logistics Support (ILS) to its clients. 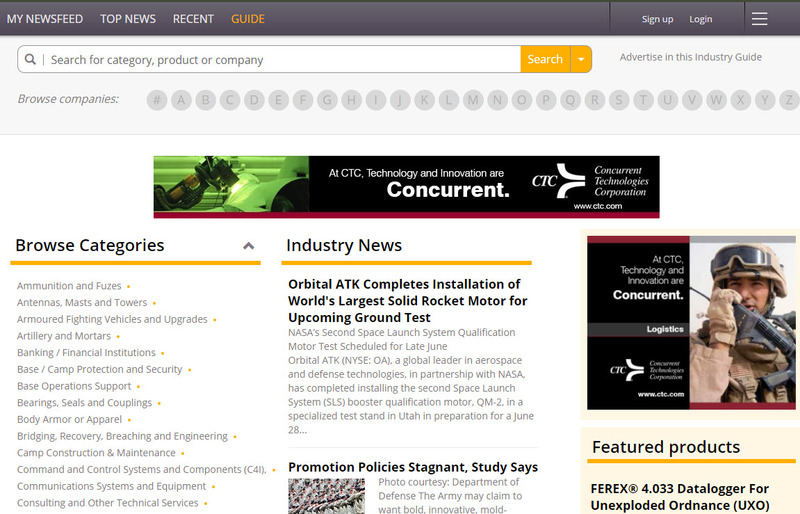 The development of this integration plan is a priority for the company. From the first steps of product design, the engineering team make sure to always think about possible support needs, going through maintainability, integration, tools, equipment, training services and sustainment. Every customer maintenance concepts are analysed to easily integrate a logistic support package with the aim of implementing and supporting the CRTS. Furthermore, CRTS must be maintained at the lowest tactical level in theatre. This is why CRTS are designed with simplicity and are virtually maintenance free. Almost all maintenance tasks can be executed by the vehicle crew. On average, Rubber Track installation can easily be handled by 2 to 3 crew members within very short timeframes. On heavier vehicles, similar installation procedures are used with lightweight on‐board tooling. There are no track pads to be replaced and no end connectors or center guides to be torqued daily or replaced. This translates into major time savings for the crew. Since its first steps in the defense and security sector, Soucy has made its reputation by working with multiple Ministry of Defense and OEM and developed strong business relations with them. At the very beginning, the Soucy Group signed a defense contract with Finland Patria 1989 which consisted of a Composite Rubber Track System for their NA‐140 4‐tracks articulated vehicle. After that, Soucy created a CRTS dedicated to the M113 vehicle in 1993 and has been working on that project with many governments ever since. From the mid‐90’s, Soucy became the exclusive supplier of tracks, wheels and sprockets for the BV206, BVS10 articulated vehicles and for the 2‐tracks CV90 of BAE Hagglunds. With this customer Soucy proved its capacity to develop Composite Rubber Tracks for light and heavy weight vehicles. Today, amongst other worldwide projects in development, Soucy is also working with Singapore Technologies Kinetics, FFG, BAE SYSTEMS, KMW, PALFINGER, General Dynamics European Land System as the exclusive supplier of tracks and related components.